Our team always strives to be proactive and up to date on the latest technology. 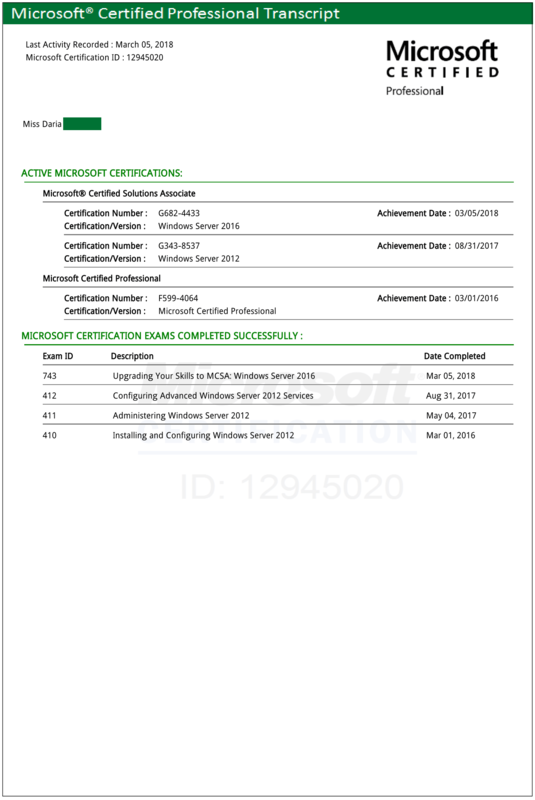 We congratulate our colleague Daria on the successful passed 70-743 Exam: Upgrading Your Skills to MCSA: Windows Server 2016. This exam covers key aspects of the installation, storage, and computer features on Microsoft’s latest server operating system, as well as basic networking and identity features of Windows Server 2016.